Dryden, NY (April 2, 2019) – Around 9:10 p.m. on Monday, April 1st, Tompkins County Sheriff’s deputies were summoned to the scene of a serious personal injury accident that occurred between a motor vehicle and a pedestrian. The collision was reported to have taken place at the intersection of Route 13 and Etna Lane, according to authorities. While details concerning the events that led to the incident are vague, police stated that they received several 911 calls concerning the collision. Emergency medical crews accompanied deputies at the accident site to render aid to any injured victims. Paramedics were stated to have transported the injured pedestrian to a local hospital via Dryden Ambulance. The victim, whose identity has not been released, was reported to have sustained at least minor head and neck injuries. The driver of the vehicle involved was unharmed in the incident and police are actively investigating the cause of the collision. A portion of Route 13 was closed down for a short time. Our most genuinely heartfelt sympathies are wholeheartedly extended to the victim, first and foremost. We currently maintain hope for their full recovery. 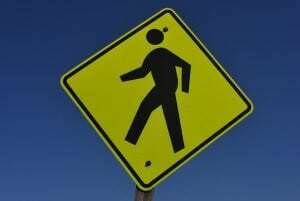 Pedestrian accidents in New York are frequently injurious or fatal, as there is generally zero protection between the vehicle and the victim. At this time, it is absolutely imperative for the victim to understand that they may have very significant rights concerning compensation for their injuries. Our New York accident attorneys at Hach & Rose have dedicated their lives to help those who have suffered due to the actions of careless drivers and other negligent entities. We realize that there is nearly nothing as difficult as recovering from a sudden injury, and we are here for you 24/7 to answer any questions you may have. If you or a loved one has been injured in a pedestrian accident due to another party, please do not hesitate to call 212-779-0057 today.